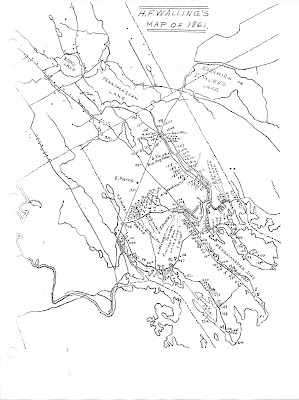 1861 map produced by H. F. Walling of the Pembroke, Maine area, with a numbering system indicating names of residents. 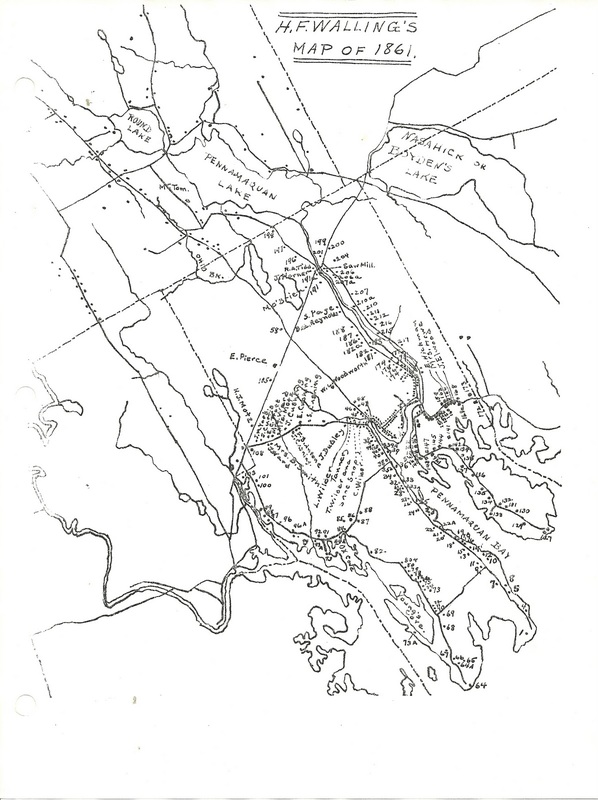 The numbering system was probably the work of Sydney Wilder and Gerald Wilder, as it was found with their journals of the genealogy of the area. 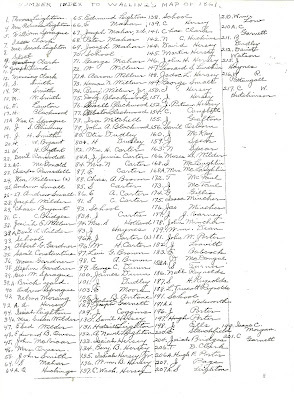 Some of the names above have been researched on the Maine and Maritime Canada Genealogy Network. 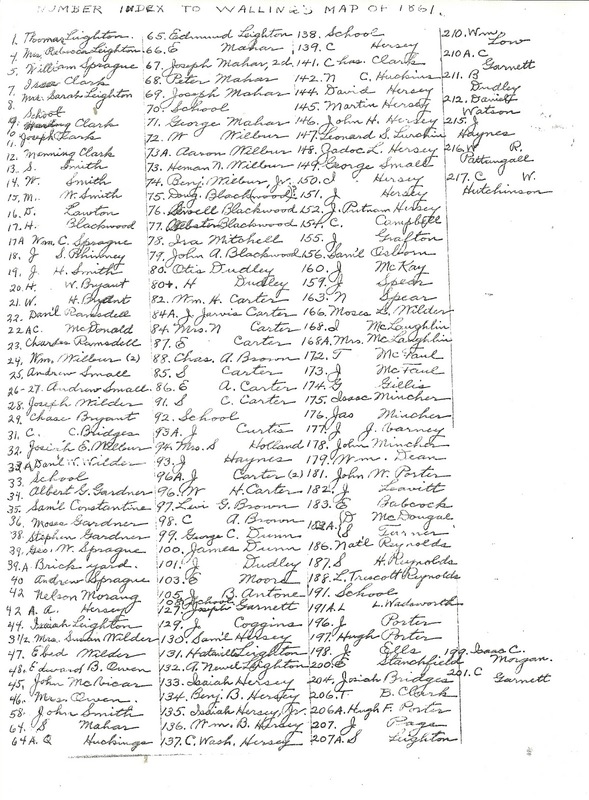 You may find images of documents, photographs or family trees there. Is this map still available? Sorry, I don't own this map but was shown it and allowed to photograph.